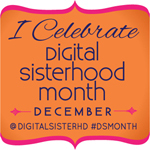 Digital Sisterhood Month (#DSMonth) 2012 is coming in December! 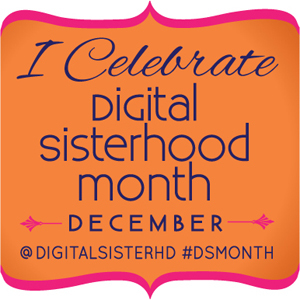 Digital Sisterhood Network (DSN) is gearing up for Digital Sisterhood Month (#DSMonth), the third annual celebration of women in social media and tech which will be held in December. 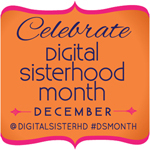 It’s gonna be 31 days of online and offline celebration with Twitter chats, Facebook and Pinterest tributes, Talkshoe.com radio shows, UStream.tv workshops with DSN founder Ananda Leeke, guest blog posts, Digital Sisterhood Leadership Project (#DSLead) profile features, giveaways, and some great DC local events. 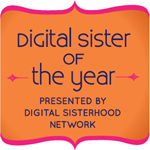 DSN is also preparing for the launch of the Leadership, Lifestyle, and Living Well (DSN L3 ) Initiative and the 2012 Digital Sister of the Year announcement that will honor an amazing group of women. 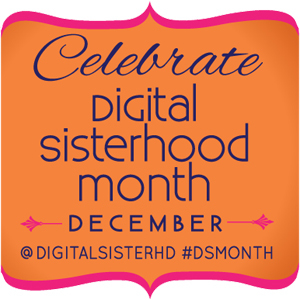 Today, we are giving you a sneak peek preview of the #DSMonth, DSN L3 Initiative, and Digital Sister of the Year badges. 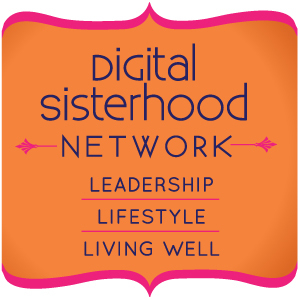 They were created by Dariela Cruz of Dari Design Studio, our fabulous designer! What do you think of the badges?